Listen While You Play: The Top Gaming Soundtracks to Get Into | Has it leaked? 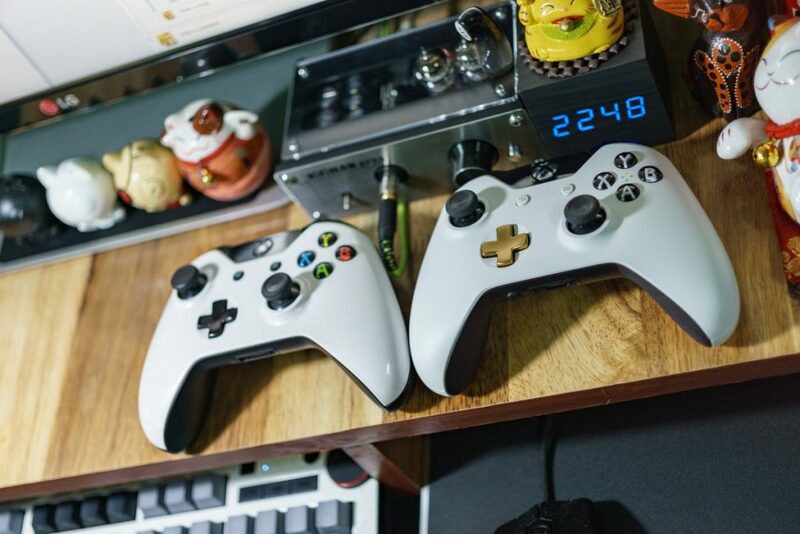 We know you love games. The thrill of the battle, the excitement of exploring a brand-new world and even the simple pleasures of leveling up all converge to make gaming one of the world’s most popular pastimes. There are many elements that go into making an excellent game, but one thing is for certain: a good game needs good music. So, which games can you count on to deliver a binge-worthy soundtrack to go along with the fun? Cuphead has skyrocketed in popularity this past year, and there’s a reason for that. This classic run-and-gun game incorporates addictive elements that make it so much better than your average bear. One of these is its superb, original soundtrack, created by master composer Kristofer Maddigan. You play our hero (surprise, you’re a cup!) as he travels through the world, attempting to renege on his deal with the devil. As you dash through Cuphead’s universe on this whirlwind adventure, you’ll find plenty of action, glory and big bosses to battle. The music makes the game — especially when you examine the artistic theme. Cuphead is completely in the 1930s-style animation. That means each scene is hand-drawn in a style reminiscent of original Disney characters like Mickey Mouse, and the music — a mixture of ragtime, big band and jazz — reflects that perfectly. Caption: Cuphead offers an original soundtrack to go with their painstakingly-created graphics. This game is worth checking out! Each scene in the game comes with the appropriate old-timey musical banter that we associate with the era, and each specific action coincides with notes and crescendos to create a musical masterpiece. Cuphead’s soundtrack even won the Best Soundtrack award from Steam. Dark Souls is a unique kind of game, one where you play the zombie. Or at least, some undead creature. While Cuphead is an upbeat and happy (albeit weird) run-and-gun game with a focus on boss battles, Dark Souls is an action RPG whose core lies in world exploration. This game hails as one of the most addictive ever created, with a vast world, intricate gameplay and tons of storyline elements to make it worth your while. However, one thing this game rarely gets credit for is its soundtrack. True to the dark nature of the game, the Dark Souls soundtrack features creepiness at its best. Composer Motoi Sakuraba has created a musical genre somewhat akin to classical if you dipped classical in macabre and garnished it with a side of ominous. But it fits perfectly, and that’s why we love it. Creepy choral tones rise and fall gorgeously along with the action of the game while battle music heats things up a bit with a faster tempo. 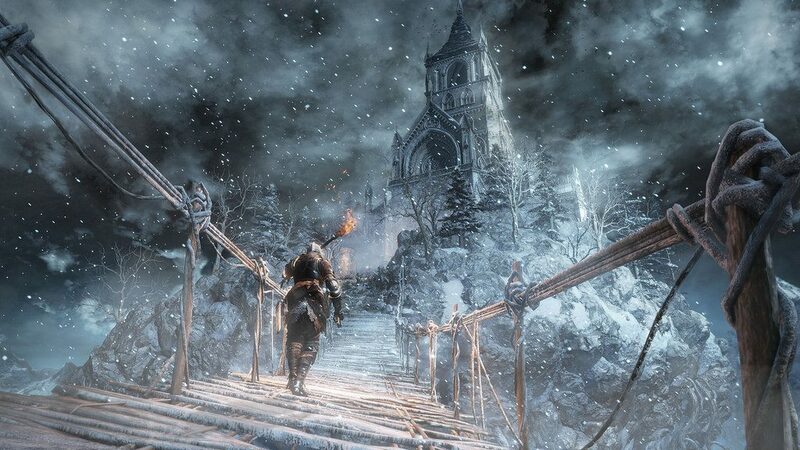 All in all, you could consider this music to be peaceful — but there’s something a little dark (souls) about it. If you like the goosebumps, this soundtrack gives you, be sure to check out The Evil Within 2 by Masatoshi Yanagi. Can’t get enough of Dark Souls composer Motoi Sakuraba? He also contributes to the second and third games in the trilogy — these three works of art are all worth checking out. No article on gaming soundtracks would be complete without mention of at least one casino game. But which game gives us the kind of music we need to get into it? Starburst an online Slots Game from iGaming guru NetEnt checks all the boxes, as a retro-style game, you can expect to get hit with a soundtrack reminiscent from your days at the arcade. But the music delivers more than background noise. It fits in perfectly with every aspect of gameplay, bringing you a singular spatial experience. 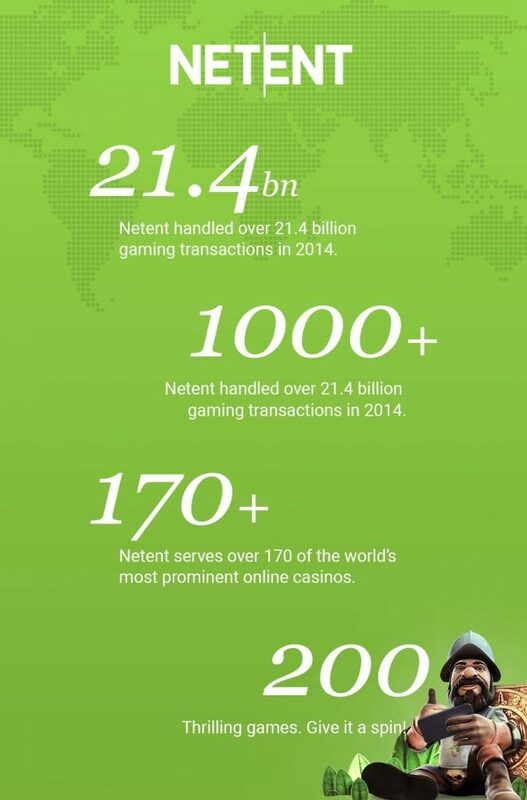 Caption: NetEnt is one of the most prominent casino game developers in the entire world — they’re known for excellent graphics, thrilling gameplay and exciting musical masterpieces like Starburst Slots. Starburst Slots is an action-packed slots game set in outer space. It’s full of zinging space crystals, shooting stars, gemstones and old retro appeal — it follows the same setup as the traditional fruit machine, with at least three matching characters in a row needed for a win. Since this game has five reels, three rows and ten paylines, there are plenty of chances for that to happen. 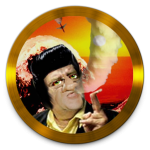 The ethereal space soundtrack follows you as you spin the reels, gaining traction and volume as you trigger bonus games (there are two!) and hit winning combinations. The music combines perfectly with the sound effects to create an exciting experience that holds true to the intention and arcade theme. Unlike other slots games, this one isn’t complicated. However, it is bursting with opportunities. The “stack” feature allows you to stack up more coins while the bonus features let you win from all ways and rack up enormous amounts of wilds, re-spins and chances to strike space gold. Starburst Slots is an appealing game for those looking to get in on some throwback action, and the compelling soundtrack serves to make it that much more exciting. The game is free to download and play, or you can put some money down with a wager. 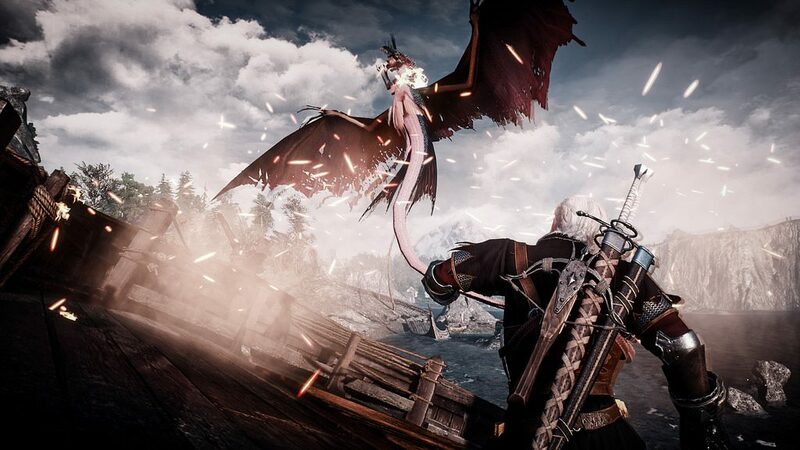 The Witcher 3: Wild Hunt was one of the most highly-anticipated games of 2015, and four years of being available to the public haven’t made it less cool. Indeed, its long-running popularity only serves to reinforce The Witcher’s place in the Video Game Hall of Fame. The game has received numerous accolades and awards, including the 2016 Game Developers’ Choice Award as “Game of the Year” and the Game Audio Network’s “Best Game Music Cover” in 2018. And that’s only the tip of the iceberg. The game has many remarkable elements that have brought it to the top, and one of those is its breathtakingly beautiful soundtrack. The Witcher 3: Wild Hunt offers intricate graphics and exciting gameplay to go along with its beautifully created folk soundtrack. Composed by CD Projekt RED favorite Marcin Przybyłowicz, The Witcher 3 soundtrack is a testament to Polish folk music, and the traditional Polish group Percival performs it, complete with rarer instruments like the lute to give it a natural feel. This soundtrack is one that you can listen to without even playing the game. However, it is better while you play — that’s because the music follows the game’s storyline perfectly. That means each scene has its own mini-soundtrack. Players who have also read the books will appreciate this, as it ties the whole game together and makes everything feel seamless. No matter what musical genre you’re into, there’s a video game for that. These four games showcase how incredible the industry can get, and you should try playing all of them. They’ll take you on a wild ride of not only adventure but also, musical discovery. So, why wait any longer? Get to playing today! Actually, Jazz Jackrabbit 2 has the best soundtrack.